Catalan leader Carles Puigdemont has condemned Spain’s “democratic attack” on Catalonia, following Prime Minister Mariano Rajoy’s announcement that he plans to curb the powers of the region’s parliament, sack its government and call an election within six months. 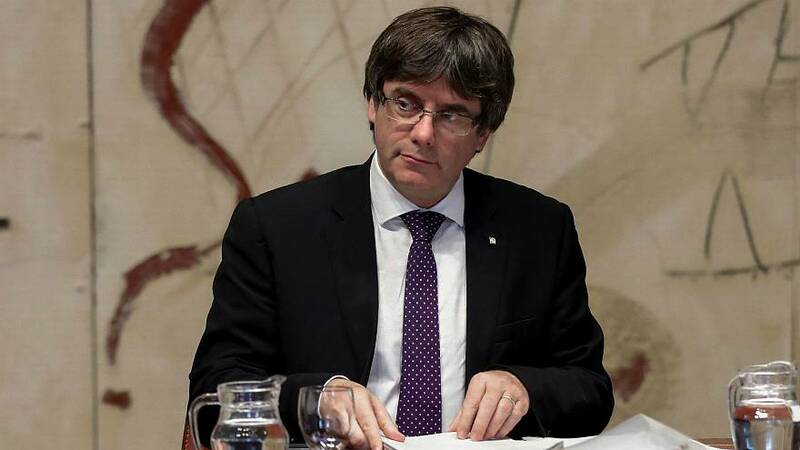 Puigdemont called on the Catalan parliament to meet to debate the measures, which he described as the “worst attacks” since the dictatorship of Francisco Franco. The speech came amid mass protests in Barcelona, where some 450,000 people gathered to demand freedom for influential pro-independence activists Jordi Sanchez and Jordi Cuixart. Rajoy announced the new measures for Catalonia earlier on Saturday (October 21), following a meeting with the central government to discuss thwarting efforts by the autonomous region to break away from Spain. His proposals must be approved by the Senate, where a vote is scheduled for October 27. Tensions in Spain have heightened since Catalonia held a referendum on independence on October 1, deemed illegal by Madrid.